Ivatt built these twenty medium-powered goods locomotives in 1909-10, to meet the increasing goods and coal traffic being experienced by the Great Northern Railway (GNR) at that time. 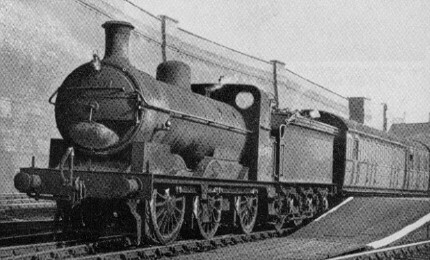 The GNR Class J22 (LNER J5) locomotives had the same dimensions as the existing mixed traffic GNR Class J21 (LNER J1) locomotives, except they had smaller 5ft 2in coupled wheels. Two batches of ten J5s were built at Doncaster in 1909-10 and 1910. 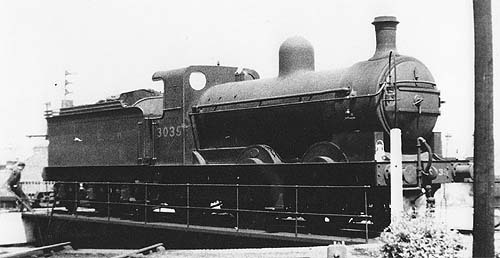 No further J5s were built due to the advent of the larger, superheated Class J6 (GNR J22) locomotives fitted with piston valves. All of the J5s were built with boilers set to 170psi, but this was quickly increased to 175psi. Ramsbottom safety valves were fitted as standard, but these were replaced with Ross pop safety valves by the LNER. Tall domes and 2ft 9in chimneys were initially fitted as standard, but lower domes and 3in short chimneys were fitted to many of the class by the LNER. Another standard fitting were sight-feed lubricators for the axles, and displacement lubricators for the cylinders. Five of the class had Wakefield mechanical lubricators fitted in 1918. A sixth engine received a similar lubricator in 1920. A number of the sight-feed axle lubricators were replaced with siphon lubricators in later years. Although they were quickly replaced with a more powerful superheated design, superheaters were fitted to two J5s. No. 3021 received an 18-element Schmidt superheater in February 1923. No. 3021 also received a Hulburd mechanical lubricator at the same time as the Schmidt superheater. These were replaced with a Robinson superheater and a Wakefield lubricator in 1931. No. 3030 also received a Robinson superheater in May 1928. Both engines had they boiler pressure reduced to 170psi at the same time. The J5s were initially used on coal trains from New England to London, although they were never actually allocated to London. Colwick used them for through coal trains to Hornsey in the early years of World War 1. They were displaced on these duties by the larger J6s. By Grouping (1923), the J5s were allocated to Doncaster (7), Retford (6), Grantham (4), and Colwick (3). The LNER soon allocated the entire class to Retford, where they worked coal services locally and on the main line to New England. By 1937, the J5s were divided between Colwick (14) and Retford (6). World War 2 led to further re-allocations, and all twenty were working in the Nottingham area by 1944. During this period, the class is particularly noted for their hard work in the Nottinghamshire and Derbyshire coalfields, hauling coal trains up the steep gradients in the area. Although most of the class did not have steam heating, they were occasionally used for local passenger work - especially in summer when steam heating was not required. Withdrawals started in 1953, and were rapid with the last J5 being withdrawn in 1955. Heating Surface: Total: 1250 sq.ft. 1129 sq.ft. Firebox: 120 sq.ft. 118 sq.ft. None of the J5s survived into preservation. London Road Models sell a 4mm scale etched brass kit of the J5. Thank you to the Rosewarne family for the photograph of LNER No. 3035.